Dr. Scott M. Silver is certified by the American Board of Surgery in General and Vascular Surgery. A graduate of Wayne State University School of Medicine in Detroit, he completed his general surgery residency at University of South Carolina in Columbia, South Carolina and his vascular surgery fellowship at Wayne State University. He completed his postgraduate certification in Hyperbaric Medicine and Vascular Diagnostic Interpretation (RPVI). Dr. Silver has been an Attending Vascular Surgeon at William Beaumont Health System since 2007 and is the medical director of the vascular diagnostic lab at Vascular & Endovascular Associates. He is a member of the teaching staff at William Beaumont Health System and an Assistant Professor at Oakland University William Beaumont School of Medicine. He has been actively involved in multiple clinical trials at William Beaumont Hospital and continues to incorporate advanced minimally-invasive technologies in the practice of vascular surgery. He has also participated in research studies and co-authored articles in medical journals. 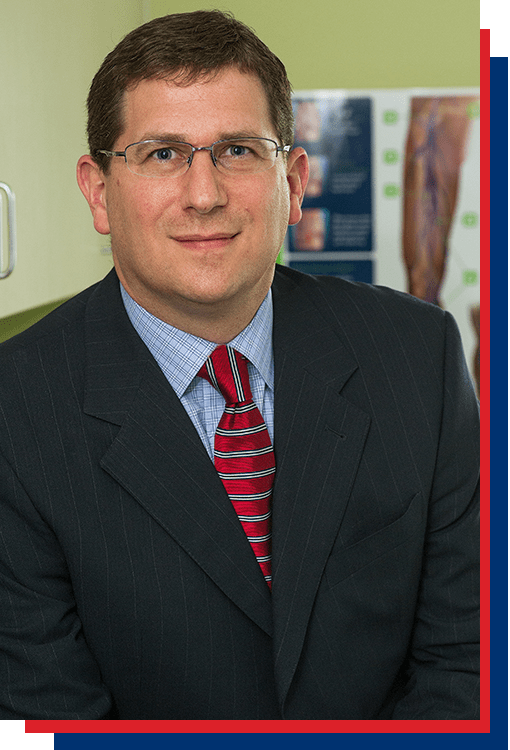 Dr. Silver’s clinical interests include abdominal aortic aneurysmal and occlusive disease, carotid artery disease, critical limb ischemia (CLI)/peripheral artery disease (PAD), and venous disease. He also is active in hyperbaric oxygen (HBO) evaluation and minimally-invasive lower extremity salvage (including comprehensive wound care participation and treatment, minimally invasive skin grafting, cellutome and other advanced limb salvage techniques). Additionally, Dr. Silver performs advance deep venous reconstructions for complications of blood clots and inferior vena cava filters (IVCF) placement.